The following information is displayed for the time interval specified by the administrator. 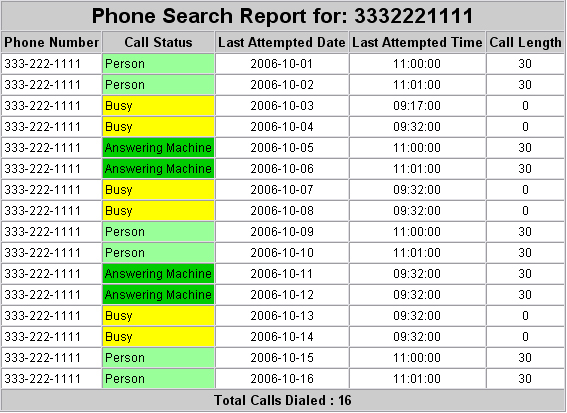 Call Status - Final disposition of each phone call (live, Answer, disconnect, etc). Last Attempted Date - Date when the last call attempt was made. Last Attempted Time - Time of day when the last call attempt was made. Call Length - Amount of time in seconds of the call (live or answering machine). Total Calls Dialed - Total number of times this phone number was called.